I first saw this story in my mail a few days ago and because it was so very ugly and pointed accusing fingers at one of my all time favorite places to get a pecan waffle, I put it aside. But after mulling over this information for several sleepless nights, I decided that sharing it was absolutely necessary. The report/story from AlterNet, is the first one in the reference list below. This most disturbing story was about Waffle House, one of the most prolific breakfast places in America. They have hundreds of restaurants throughout America, 2,100 of them actually, in 25 states, many of which are in the South were they are headquartered. This Georgia chain has been around since 1955 and until I saw this story, my only complaint had been their practice of allowing smoking on the premises and the fact that they were not always the cleanest places to eat. But my love of the perfect pecan waffle overrode my two minor objections, until now. Now I find myself sickened and disgusted by a place that I will in the future refuse to eat in, unless they have a complete and total makeover starting from the top down. If even half of the accusations in this searing report are accurate, Waffle House will never get another penny from me as a customer. As the old saying goes, the head of the snake must be cut off. Aside from all of the employee abuse complaints and accusations, and lawsuits by women of sexual harassment, I find the news that this Company has such strong ties with a Political Party and a platform that I find personally reprehensible, for its repeated abuses of women in this country, unacceptable. This Company is sleeping with the enemy in my mind. So Dear Waffle House, you are no longer on my Menu! 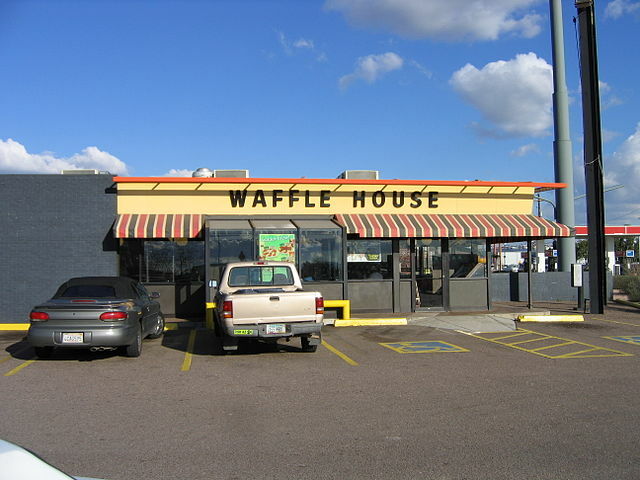 EEOC v. Waffle House, Inc.
How safe are your favorite restaurants?